I’ve been a flower lover since I can remember, and though I’m consistently seen wearing black, the truth is I love surrounding myself with color + patterns. One of my favorite ways to dip into at home has been surrounding myself with Marimekko patterns, as the Finnish design house’s art of print making has always added a cheer to my life. Of course I got flower happy seeing the ready to wear collection + accessories that were just shown on the Paris runway, at Palais de Tokyo. Drawing on the brand’s very essence, the art of printmaking, the collection bursts with iconic archive patterns from the 1950s and 1960s. 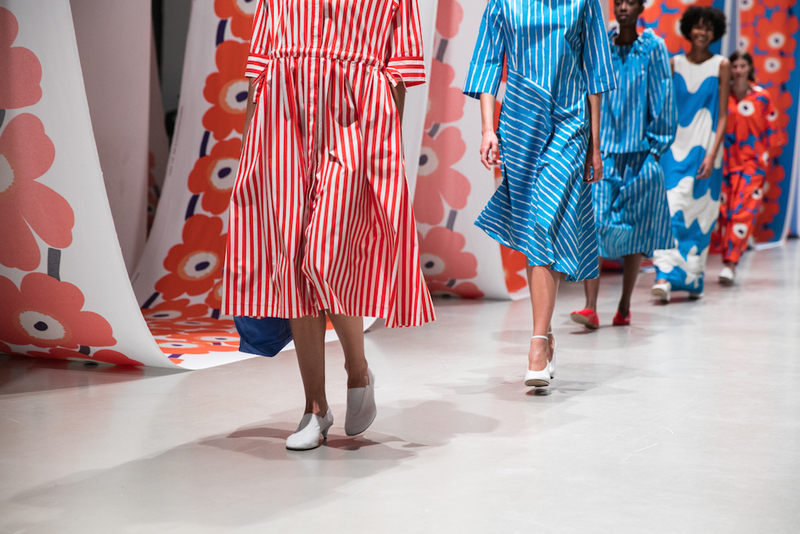 Created by original Marimekko designers Maija Isola and Annika Rimala, the collection was fused with contemporary prints by young designers, complementing each other for a collection inspired by personal growth stories and Marimekko’s rich heritage. 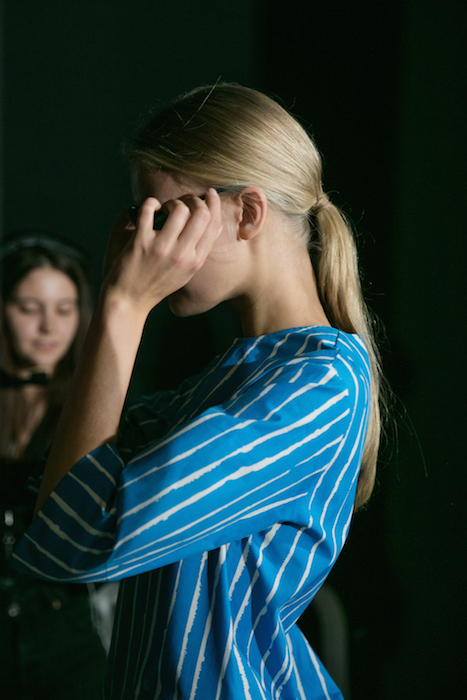 Stripes throughout the collection marks the 50th anniversary of one of Marimekko’s most beloved iterations, Tasaraita (evenly striped) for 2018. In 1968 Annika Rimala created a new symbol for the era of unisex with this pattern, representing equality before it was trending. For spring 2018, Tasaraita is now in woven cotton. 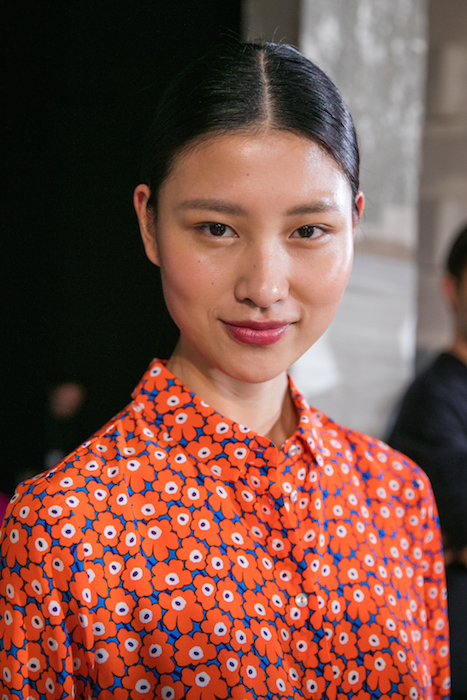 As most collections from Marimekko, bold prints are seen in crisp primary colors of yellow, red and blue as well as botanical green. 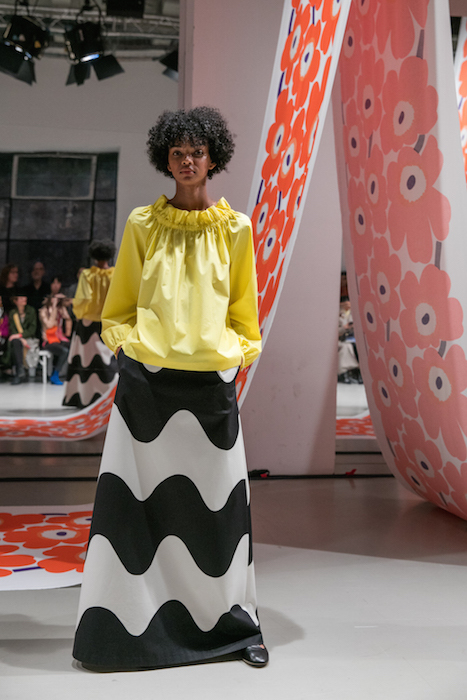 Cotton and linen pieces were created at Marimekko’s in-house factory in Helsinki, where around a million meters of fabric are printed every year. 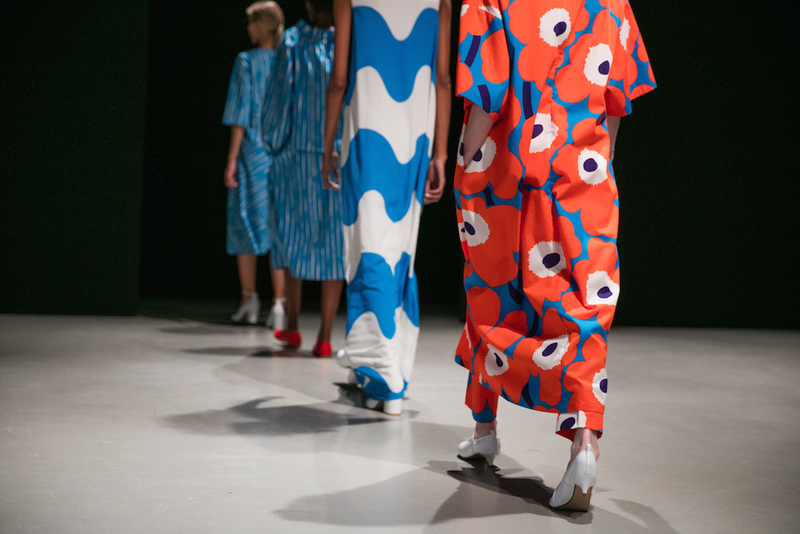 The printing mill serves as both a factory and as an innovative hub for Marimekko’s creative community. And this is what all the cheer is about. 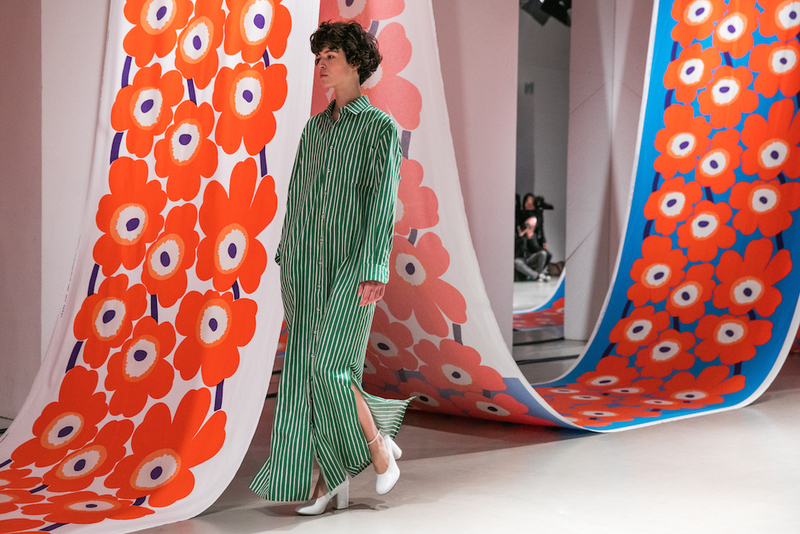 FLOWER POWER at MARIMEKKO commentary and faves by Brigitte Segura. photo credits: photo credits: Janita Autio + Mohamed Khalil. check out my FLOWERS blog on tumblr!